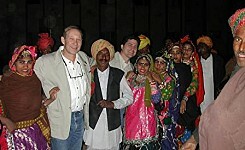 Globe Aware's India program is based in Jaipur. Maharaja Jai Singh II, a Kachhwaha Rajput, who ruled from 1699-1744, founded Jaipur, "The Pink City". 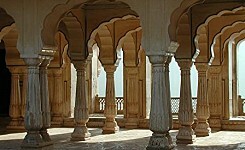 Built in 1727 Jaipur was the first planned city of India and the King took great interest in its design. The title of "The Pink City" is in reference to its distinctly colored buildings, which were originally painted that color to imitate the red sandstone architecture of Mughal cities. 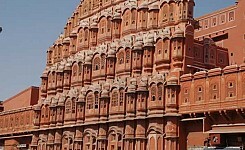 Jaipur has grown into the commercial center for most of the rural regions of the northwestern Indian state of Rajasthan and is that state's largest city. It is a place with a rich cultural history. During your strolls through the city you may come across typical Rajasthani men and women wearing turbans and colorful ghagra-choli. 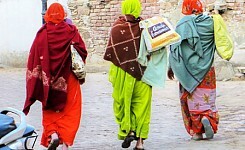 One of the major issues in India is “the social status of women.” Girls can be considered a burden and many parents do not encourage education. More than 40% of girls and women are illiterate and end up marrying at a young age. You will assist with empowerment projects for women, by teaching basic subjects, English communication, boosting self-confidence, as well as engaging in crafts and hand-work which the women can sell and make profits from. The school you will be volunteering at serves the local poor children, often neglected in Indian society. All the parents of these children are from the economical, weaker section and are mostly daily wage earners like rickshaw drivers, laborers etc. The school also has few resources due to lack of funds and teachers. As a volunteer you will provide a much-needed hand to the different age groups by teaching basic courses, games, sports, and arts and crafts. With your assistance, these kids are able to catch up with their peers and receive opportunities they would not otherwise have. In all cases the projects that you, our volunteers, make possible will enhance the quality of life for these women, children and communities in ways that you can only begin to imagine. Volunteers have the option to do a homestay with an Indian family or be accommodated in one of several modest hotels nearour program site. All have running hot water, flushing western style toilets, and electricity. Though the accommodations cannot be labeled luxurious, you will find that they more than suffice to ensure you enjoy your experience. We house volunteers two to a room, unless you decide to pay a single supplement of $200 per week. 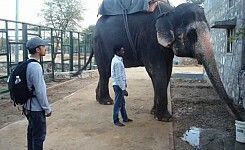 Register for your Volunteer Vacation in India - Click Here! Have dinner with a local family. Enjoy a Bollywood Film in the homeland of this worldwide phenomenon. Take a visit to a traditional artisan factory. 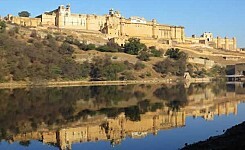 Explore the city markets of Jaipur, visit the famous Amber Fort. India is a land of stunningly unique sights, sounds, and smells. Even a walk down the street can be an unforgettable experience. As you embed yourself into the local community and your work project you will have ample time to enjoy these and other cultural activities. 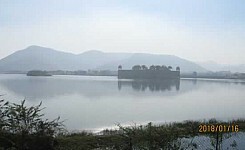 The most popular way to travel to Jaipur from Delhi, is by plane. There are a myriad of low budget airlines that fly daily back and forth between the two cities. 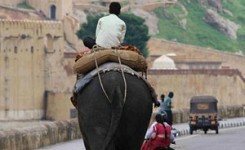 Jaipur is a safe city accustomed to visitors from around the world. 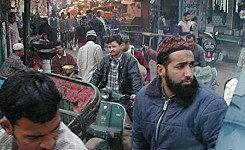 You may encounter youths on motorbikes claiming that Westerners are unwilling to engage with the Indian people. They might say "Why don't tourists want to talk to me", or "I am a student, I want to learn about your culture". This is occasionally a segue into a common scam in this part of India, the "gem scam." It involves the purchase of fake stones for resale, a supposed scheme to bypass Indian tax laws, or a host of other machinations. As a general rule, do not accept tea from strangers, but in addition be wary of any who invite you to talk in secluded areas. 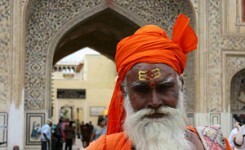 For your own sake, you will want to stay out of the precious gem business in Jaipur. There have been reports of smugglers trying to entice travelers to assist in smuggling items. Under no circumstances accept - smuggling is a major criminal act. In all these cases, exercise general caution and never fear to ask your coordinator for assistance or clarification of a given situation.